In this white paper the authors of the Influencer series of books discuss how chronic persistent problems aren’t solved easily. They require a critical mass of influencing strategies and a combination of tactics. Rather than focus on a single root cause, an effective technique addresses all root causes in a calculated approach across six sources of influence. According to VitalSmarts®, successful influencers increased their chances of success tenfold by combining strategies from at least four of the six sources of influence. 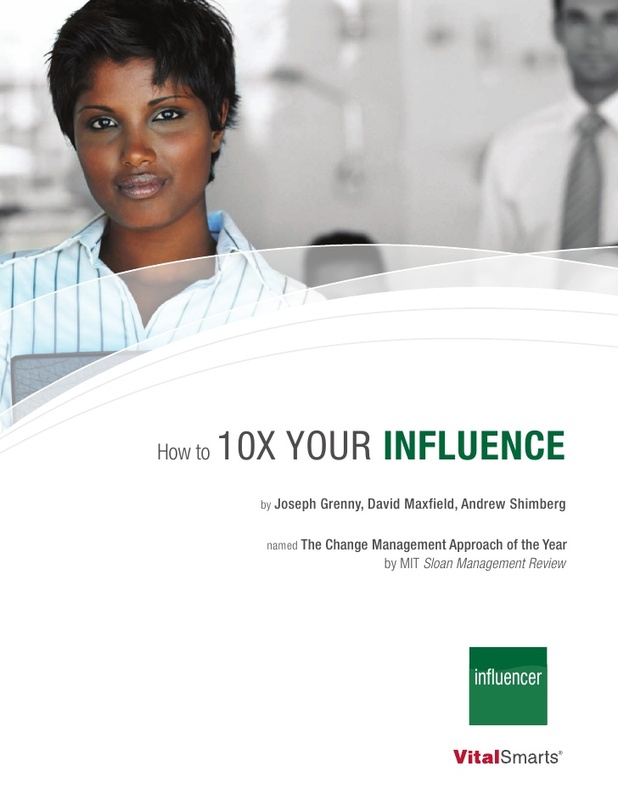 Learn how to be a powerful influencer by reading this 11 page tutorial on influencing by VitalSmarts®.